WTF Are You Reading? : Page To Screen: Betting On Box Office Gold With John Green's "Looking For Alaska"
Page To Screen: Betting On Box Office Gold With John Green's "Looking For Alaska"
John Green is a man who it seems, can do no wrong in the realm of Contemporary Young Adult Fiction. Writing from the place where the angst-ridden, misunderstood, unsure, self loathing, lovesick, and ever evolving “every teen” lives and breathes. Whether readers choose to lose themselves in the quirky escapades of Quentin Jacobsen in Paper Towns. Take part in Colin Singleton’s mathematically inspired quest of Katherines; in the aptly named An Abundance Of Katherines. Watch the unfolding and unforgettable drama of Will Grayson meeting Will Grayson in Will Grayson, Will Grayson. 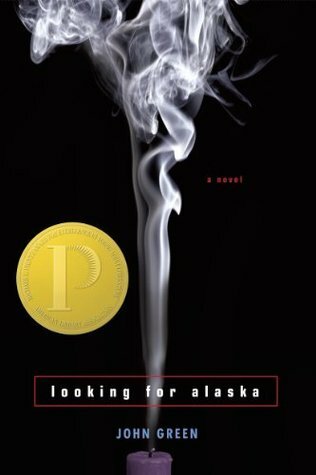 Experience the “coming of age” search for self in Looking For Alaska, which might be the next book to turn into a film. Or, get swept away by the heart-wrenching look at hope, love death, and transcendence that is The Fault In Our Stars. There can be no denying that locked within the tales so eloquently told by Mr. Green, is an emotionally charged siren’s song, that calls to hearts and minds of every reader. With a flare for poetic prose, relatable characters, and intimate relationships. John Green’s books are so full of quotable moments that people have been known to read with highlighter in hand. In 2014, the literary golden boy managed to make the leap from page to screen with the runaway box office success of The Fault In Our Stars. Thereby, garnering a whole new group of fans in the movie going public, and joining other book to movie YA greats such as J.K. Rowling and Stephanie Meyer in the land of permanent auto buy status.